The 12th Five Year Plan (FYP) projects 66,000 fresh job seekers with secondary and university education to enter the labour market in the next five years. Against this backdrop, the political parties have been promising productive and meaningful employment for all. Nearly Nu 2.4bn has been allocated in the 12th FYP to enhance Technical and Vocational Education and Training (TVET) system in the country for better employment opportunities. Strengthening and intensifying the TVET system is also included in the pledges of all parties. This time, the parties have targeted sectors that have potential to create job opportunities like tourism and hospitality sector, construction, hydropower, agriculture, sports and arts and crafts among others. Bhutan Kuen-nyam Party (BKP) says it will provide enabling environment and platforms for the youth to ensure their talents are well harnessed, recognised and rewarded. Druk Nyamrup Tshogpa (DNT) says it has plans to establish an employment corporation mandated to create job opportunities and work closely with the private institutions to update on the opportunities. “If there is a growth in the private sector, a minimum of 5000 jobs can be created. To boost private sectors, we have pledged to create more industries,” Tandi Dorji, the Vice President of DNT, said. Druk Phuensum Tshogpa (DPT) says it will frame a human resource policy and also research on the number of youths unemployed and jobs available. “For those interested in entrepreneurship, we will provide them with loans without collaterals. We will also work closely with the private sector to create opportunities for youth,” Lily Wangchuk, the Vice President of DPT, said. People’s Democratic Party (PDP) pledges to develop a long-term national workforce plan to map jobs and forecast the labour market. The party pledges to create at least 10,000 jobs in the next five years. “We will focus on sports to reduce unemployment. The other thing is the entertainment. We have in our pledge to improve and support this sector by creating various opportunities in different fields,” Dorji Choden, the Vice President of PDP, said. 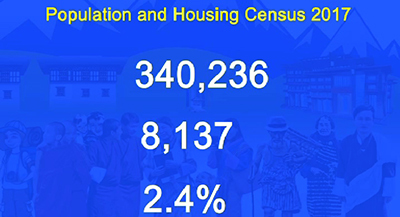 As per the Population and Housing Census of Bhutan (PHCB) Report 2017, of the total labour force of over 340,000 people, nearly 8000 are unemployed, giving an unemployment rate of 2.4 per cent. The agriculture sector employs the largest population at 43.9 per cent, followed by construction sector at 11 per cent and 10.8 per cent in public administration. The report also states that the unemployment rate increases with increasing levels of education.